Matcha Green Tea has all but replaced coffee for some. Lots of people have been converted from their regular cup of coffee to Matcha green tea. Matcha can give you a great boost when you need it, but without the ensuing crash a couple of hours later that you may get from coffee and a lot of the other negatives associated with caffeine. Green tea has become something of the norm now. At one point this was the next big thing in healthy drinks as we attempted to wean ourselves from caffeine and enjoy something healthier. Today it is packaged in neat little bags and boxes on grocery store shelves right next to the regular kind. There are so many brands and varieties that we forget that this was once a speciality tea. As one drink enters the mainstream, another takes it places as the new health lover’s elixir. That tea is matcha green tea. ​What is Matcha Green Tea ? ​The availability of Matcha has increased dramatically in the last five years. Once upon a time it was quite scarce and difficult to find. You could only find it specialty tea shops and when you could find it the price was usually sky high. Lets take a look at some of best Matcha tea brands. Kenko Matcha Tea powder is a certified organic ceremonial tea. 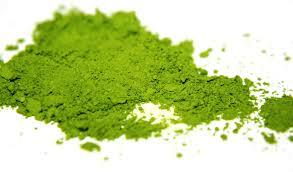 It is a particularly fine grade Matcha powder and has an incredibly vibrant green color. ​Taste wise you can expect a smooth yet creamy taste with just a touch of bitterness to finish. Kenko(which means healthy in Japanese) is an Australian based Matcha tea brand that sources all of it's teas directly from Japan.​ They have a limited range yet have expanded aggressively to become one of the largest Matcha re-sellers in the Western world including the United States. If you choose to try out Encha organic Matcha for yourself then you are in for a real treat. Encha offers you the chance to sample the first harvest i.e the youngest most vibrant leaves. This is a ceremonial grade Matcha however Encha have stated that it is perfectly fine for those that are latte lovers too. In others words its like a ceremonial grade Matcha that can also be used in cooking and milk based drinks. Encha is a San Francisco based supplier that is committed to providing the very best organic products. Midori is a very highly rated brand among food bloggers and Matcha experts. ​This is their premium first harvest leaf so you are getting the absolute best in terms of quality. ​It is a fairly mild tasting Matcha and is a really good bet for those that do not like the stronger tea's that can be a little bit too "grassy" for some tastes. Jade Leaf is 100% USDA organic certified all natural Matcha green tea. Note that this is a culinary grade Matcha and as such is perfect for lattes, smoothies and even matcha ice-cream! ​Sourced directly from farms in Uji, Japan this is one of the highest quality culinary grade Matcha powders that you can buy. ​Matcha tea is the powdered form of the green tea (Camellia sinensis) plant from Japan. Normally green tea is made by steeping the whole leaves in hot water and then discarding them. Matcha tea is ground from leaves after a special growing technique and post picking process. The veins and stems are removed in the post picking stage. Prior to being picked the leaves are shaded for roughly three weeks with a combination of reeds and straw which forces the leaves to grow wide and thin so that they may capture more light. Matcha contains much higher levels of chlorophyll as a result of it's deep green leaves. 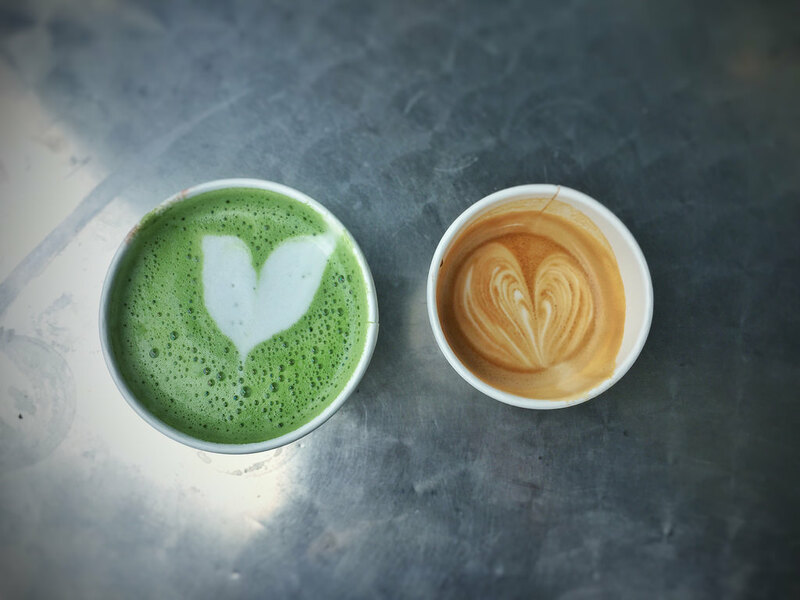 Although this extra effort required to produce Matcha increases the expense of production it also greatly increases the quality of the leaves and the levels of caffeine and theanine. Picking usually occurs around April or May the leaves are then sorted and only the best are kept. Unlike Chinese teas that are pan-fried to reduce oxidation Japanese green tea leaves are steamed as soon as possible to lock in as many nutrients as possible that natural fermentation might destroy. Once steamed they are allowed to dry and are then folded, at this stage the leaves are referred to as "tencha". The tencha is then cut into strips that aids grinding. The grinding is done by stone and the speed at which they are ground has to be carefully controlled otherwise the leaves may be burnt. Once ground an packaged the Matcha must then be stored in airtight containers away from direct sunlight. ​A healthy lifestyle and healthy mindset requires a good cup of tea. For some, this means a sweetened cup of Earl grey to enjoy at the end of a long day. Many others have turned to green tea as a refreshing beverage in an attempt to be a little healthier. Then there are all the other herbal and fruit teas with their own distinct properties. Coffee shops now have a tea menu as long as their coffee menu. While green tea has made it on there in a few forms, we are yet to see matcha green tea in a mainstream context. Matcha tea benefits can greatly aid the pursuit of a healthy diet and lifestyle. ​Ask a green tea drinker why they drink it and antioxidants is a word you are sure to hear. They know that this is the mean reason for all the health claims, even if they don’t know what that means for their own personal health. ​Let’s go back to high school biology here. Plants are green because of a substance called chlorophyll. Chlorophyll helps the plant to absorb sunlight and nutrients and provide energy for growth. This is where all the great antioxidant properties come from. Therefore, the better the chlorophyll count, the better the antioxidant count. Japanese tea growers deliberately grow their tea plants in the shade to increase the amount of chlorophyll and improve health benefits. ​It is this high antioxidant content and high level of chlorophyll that leads to comments about matcha tea being ideal for detoxification. There is a belief that the tea will essentially flush out the body’s systems of anything that is toxic and unhealthy. This means toxins, heavy metals, hormone disrupters and more. There is no scientific support for this theory as of yet, so it is hard to say that this is a definitely health benefit of matcha tea. 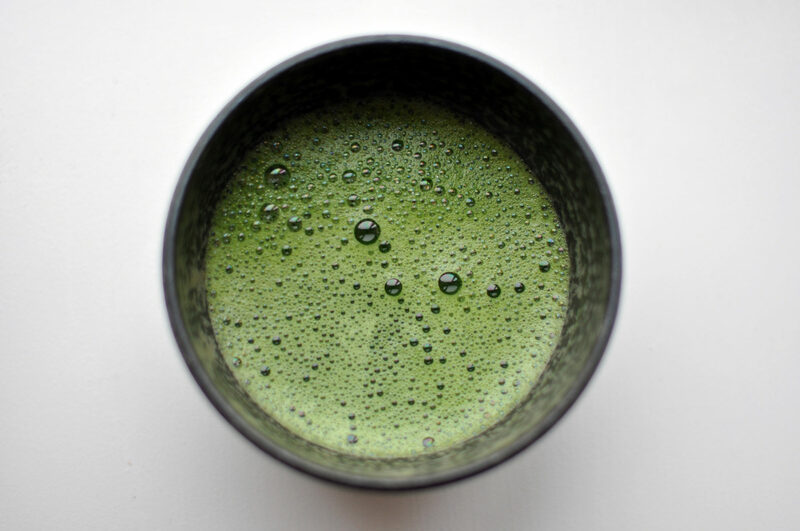 However, this will not stop users from drinking it, especially as there are so many other health benefits with scientific backing.The only possible concern here is the contrast between claims of detoxification and matcha tea side effects. Some question the amount of lead that can be found in this tea, compared to other forms of green tea. This is one of the downsides of a preparation method where all the chemicals stay in the drink. These lead levels are not dangerous, but they are present. This means that some drinkers suggest limiting consumption to one cup a day. ​Let’s continue our list of potential matcha tea benefits with the big one – the big C. This tea contains antioxidants called catechins which seek out free radicals. EGCG is one of those catechins and this increased quantity per cup means that drinkers have a better chance of hunting down those free radicals and protecting their bodies. Researchers believe that the risk of cancer can be reduced dramatically by following a diet free of processed foods and high in foods containing antioxidants. Matcha tea can significantly add to your daily intact of antioxidants and catechin. ​We had to talk about weight loss next because that it one of the main reasons people turn to green tea. There are plenty of stories about people losing weight more easily after starting a new diet containing green tea. Those multi-functional catechin antioxidants are the cause once again. They have thermogenic properties, which means that they can help to increase the body’s metabolic rate. This then results in more calories burned and better results in the gym. Green tea consumption can increase thermogenesis from 8-10% to 35-43% of daily energy expenditure. Another study showed that drinking matcha green tea immediately prior to exercise can result in 25% more fat burning. ​There are suggestions that this metabolic rate may have something to do with the caffeine content of the tea. There is still caffeine in this drink, which may come as a bit of a surprise to some drinkers. So where does this drink rank in the fight of matcha vs coffee? There is not as much of this chemical in a cup of matcha as a cup of regular tea or coffee, but it is not a decaffeinated drink. Caffeine also helps with thermogenesis and fat oxidation to a degree, and may help to boost the properties of the antioxidants a little. ​The inclusion of caffeine may be a concern to some drinkers. At the same time, there will be people wondering how they drink it everyday and not feel any matcha tea side effects. Matcha is calming and gentle, not jittery and powerful like a strong cup of coffee. The reason for this comes down to the presence of L-theanine. This is an amino acid that affects alpha wave activity in the brain. Matcha green tea contains as much as 5 times the amount of L-theanine than conventional green tea and this easily balances out the negative side effects of the caffeine. ​With this in mind, let’s look at the benefits of drinking matcha tea for mental health rather than purely physical health. This Matcha tea caffeine and l-theanine content can help drinkers find that wonderful state of mind where they are both alert and present in the moment, but also calm and at peace with it. There is an energy boost that comes from drinking matcha tea during a mid-afternoon slump, but it is the kind that simply resets the brain and improves concentration. There is also far less chance of you crashing again a couple of hours later. Matcha tea benefits can also help the active as it is a great choice for anyone that wants a healthy drink pre or during exercise. It is also advisable to drink this tea during yoga sessions to stay hydrated and improve a sense of calm. In fact, matcha tea is a great choice anytime you need to calm down and regain some perspective, such as during a work break or before a meditation session. The links between matcha tea and meditation are strong and it is possible to bring this into a modern way of living. Mindfulness and mindful meditation are growing in popularity with those of us trying to find inner calm and an improved state of mind. The act of preparing and drinking this tea plays into this brilliantly​. ​Pros - lots of antioxidants to fight free radicals and speed up the body’s metabolic ratea good balance of caffeine and l-theanine for an alert, calm mindset and improved focus. The potential for improved weight loss and potential for improved cardio vascular health. Minimal side effects that can usually be found with other stimulants. Cons - ​requires a different method of preparation for the best result. Has an unusual taste that takes some getting used to. Is more expensive than regular green tea and is less accessible than regular green tea. ​Ever wonder why the life expectancy in regions of Japan is so much higher than that of Western cultures? Why are their elderly residents much more active and youthful in their day-to-day lives? There are a number of contributing factors here. An active lifestyle, cognitive exercise and a good diet with plenty of fish may have a lot to do with it. Matcha tea is definitely helping too. 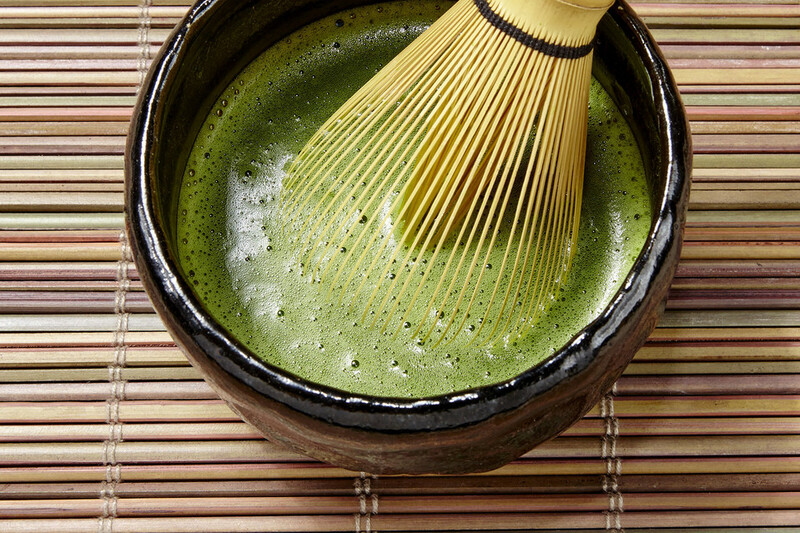 Matcha is consumed in great quantities in Japan, especially in Okinawa where people tend to live longer lives. You would need to drink a lot of this tea to offset any other damaging factors in your life that contribute to premature ageing. ​There are some clear downsides to choosing to drink matcha tea as part of your daily health regime, but they are worth dealing with for the benefits gained. The drink requires powder dissolved in hot water rather than a tea bag in some boiling water. This isn’t a big difference, but it is easy to go into autopilot when making tea. The taste is another problem for some drinkers at first, as it is stronger than green tea and not the most pleasant. With patience, you will get used to it. ​As for the cost and accessibility, this is a downside of a new product. It was the same with green tea at one point. Some grocery stores will sell it at a high cost. The easiest way to find it would be to go directly to a health food store or to purchase it online. With time, more brands will package their own versions and the price will come down. Remember that the higher the quality, the higher the price. The higher the quality, the better your chances of experiencing those Matcha tea benefits. Alternative Matcha recipes that may help those that can’t drink it everyday. The taste of matcha tea really is an issue for a lot of people. Green tea is unusual, but this is a lot more plant-like and very strong. Supporters talk about the umami taste. This may be a big thing in high dining, but this strong, savoury taste can be a bit odd in a cup of tea. For others, the powder is simply too grassy. The alternative is to use matcha powder with other drinks or as part of a more varied mix. Some have taken to sweetening their drinks to take the edge off. Matcha can also be baked into products like cookies and brownies to try and release the goodness in another way. This is one way to have some fun with it. ​Matcha tea is different to green tea and regular tea and you need to treat it with the respect that it deserves. Treat it badly and you wont enjoy all the great matcha tea benefits highlighted above. Make sure to get a high-quality powdered form and prepare it properly. Add the powder to hot water rather than boiling water so you don’t end up with a bad taste. Matcha can take some getting used to, but you probably heard that when you started on green tea. If you can take the time to prepare matcha green tea on a work break or before an exercise session, and stick with it, you are sure to see some of the matcha tea benefits above. ​How to make Matcha tea differs from regular green tea because Matcha uses the powdered form of the leave whereas regular green tea the leaves are steeped whole. Matcha should never be made with boiling water instead the water should be allowed to cool down to about 70-80°C or 165-180°F. In a mixing bowl add a few drops of water to about 2 scoops of Matcha and mix to a paste. Once mixed add the remaining water whilst whisking for roughly 30secs with a chasen( traditional whisk) in a figure of eight pattern or cross pattern but not circular to create a frothy texture. There are two main types of Matcha available, ceremonial and culinary. Ceremonial grade - Suitable for drinking on it's own. Naturally delicate in flavour. Bright green and fine talc like powder in appearance. Culinary grade - Specifically blended for use in foods or beverages. Slightly more bitter in taste than ceremonial grade. Less bright in appearance than ceremonial grade​. ​On average a cup of Matcha tea contains about 25mg of caffeine, which is roughly one-third of the amount found in a cup of regularly brewed coffee. The caffeine in Matcha tea binds with some of the other nutrients(L-theanine) which slows the absorption of caffeine into the blood stream. It does not result in the jitters or huge high that coffee can illicit in some people, as a result of this it can help dramatically with concentration and focus. The usual crash that coffee drinkers experience after an hour or two is also not experienced when drinking Matcha green tea. « All Clad vs Calphalon – Which is better ?